As it is called the House of Representatives, you would expect its members to represent the people who elected them to the office. Sadly, in the Philippines’ Lower House voters barely see any semblance of representation among the individuals they voted for. While enjoying a net-positive approval rating (+56 in September Pulse Asia survey), Congress still holds a generally negative perception to the ordinary Filipino. In fact, that +56 rating indicates just a narrow difference from being untrustworthy; not to mention that the Speaker of the House, Gloria Macapagal-Arroyo, only garnered a 19% trust rating in that survey. The highly unpopular TRAIN Law, widely blamed for the rapid increase in inflation, was passed by a wide majority in the Lower House. Its members also heavily supported the disgraceful attempt to silence the Commission of Human Rights (CHR), by slashing its budget to its absolute minimum in 2017 for criticizing President Duterte’s war on drugs. With these verdicts, the Philippine Congress may seem like a hopeless place but thankfully there exists a threadbare minority within its ranks that has been a shining beacon of light. The Makabayan bloc (translated: nationalist bloc), a progressive nationalist group of representatives, has defiantly stood against the majority of their colleagues to side with the ordinary Filipino. 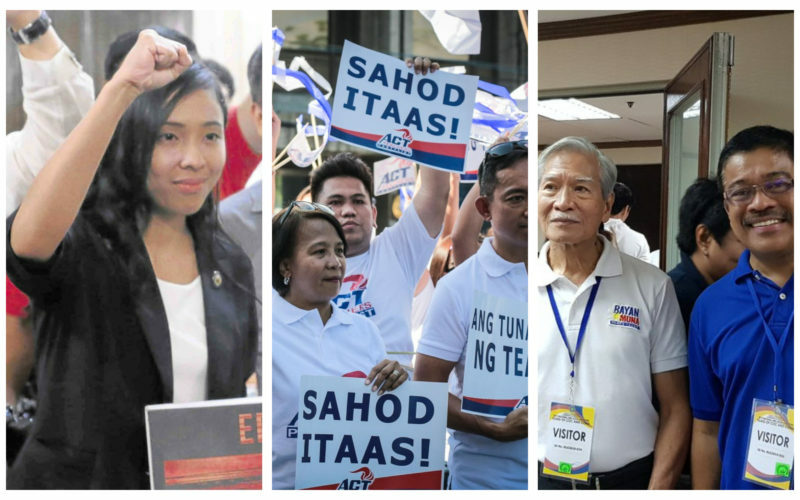 In the 17th Congress, the group lists seven members from five different party-list groups: France Castro and Antonio Tinio from ACT-Teachers Party, Sarah Elago from Kabataan Partylist, Carlos Zarate from Bayan Muna, Ariel Casilao from Anakpawis and Emmi de Jesus and Arlene Brosas from Gabriela Party. Party-list groups do not represent geographical constituencies, but rather their constituents come from marginalized sectors. ACT-Teachers represent teachers, Kabataan (translated: youth) represents students and the younger generations, Bayan Muna (translated: Nation First) is identified with urban poor and blue-collar workers, Anakpawis (translated: sons of peasants) represent peasant communities while the Gabriela Party is a women’s rights organization which is named after the legendary Gabriela Silang, a Filipina heroine who led an army of freedom fighters against the Spanish. Initially, the Makabayan bloc supported Duterte’s administration and were part of his supermajority bloc in Congress. This should not be a surprise, the former mayor of Davao City did campaign as a progressive candidate and even proclaimed himself to be “the first leftist President of the Philippines”. When Duterte began to coalesce with oligarchic factions such as the Arroyo and Marcos political vehicles, it was obvious that dumping the Philippine left was on the cards. In September 2017, the Makabayan bloc separated from the pro-administration supermajority and declared themselves as a new independent bloc in Congress. Being aligned with Duterte, who enjoys great popularity among the general public, would have made the group’s life in politics a lot easier. Hence, it took great courage and integrity to muster the will to sever those ties with the President and his allies. The group is not taking their “progressive” label lightly, they have continuously pushed for pro-people, pro-poor initiatives in Congress. 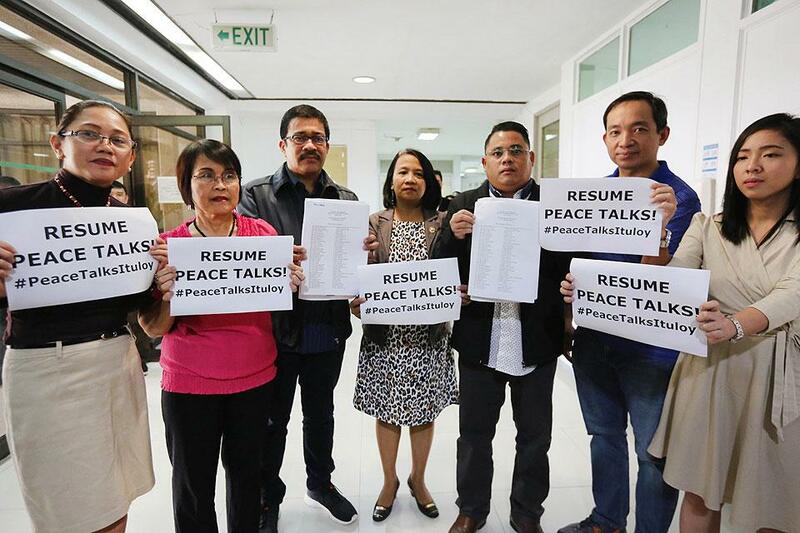 Makabayan members have pushed for an investigation on the war on drugs, filed a petition with the Supreme Court halting the TRAIN law, and have advocated for the resumption of peace talks with the New People’s Army revolutionary group. Individually, the different party-list groups comprising Makabayan have also been fierce advocates for reform in the respective sectors they represent. 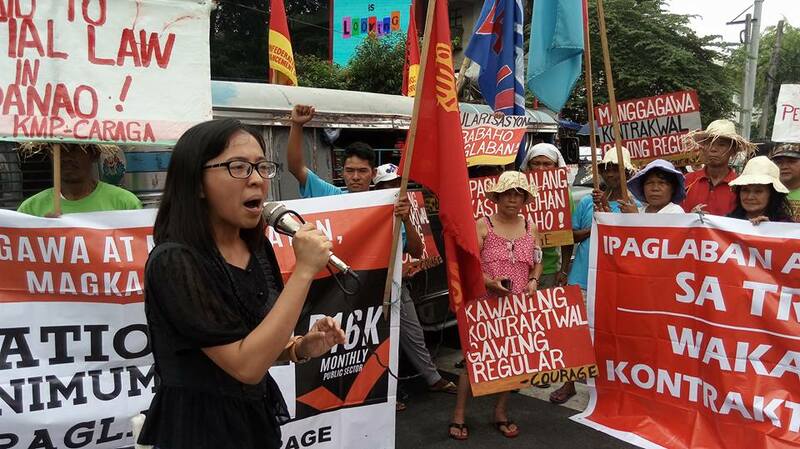 For example, Sarah Elago of Kabataan Party-list has been at the front-line of student protest action against tuition-fee increases in different colleges and universities. 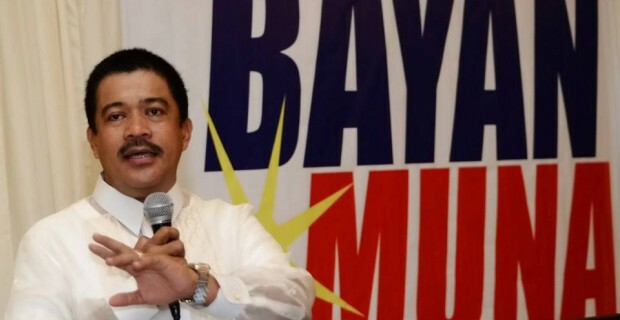 Bayan Muna’s Carlos Zarate has been vocal at condemning the violent dispersal of protesting workers of Nutri-Asia and have represented low-income workers by advocating for a sharp increase in the minimum wage. Ariel Casilao of Anakpawis has stood with protesting workers of Heinz Philippines’ factory in Bulacan, demanding that they be treated with respect by responding police officers who have been accused of harassing them. ACT-Teachers’ France Castro and Antonio Tinio have measures in Congress seeking to increase the allowance teachers receive for their chalk supplies, with a small allowance teachers feel restricted to teach to the best of their abilities just to save on chalk. They have also pushed to increase the salary of guidance counselors in all schools, since these officials are often left-out when teaching staff receive pay increases. 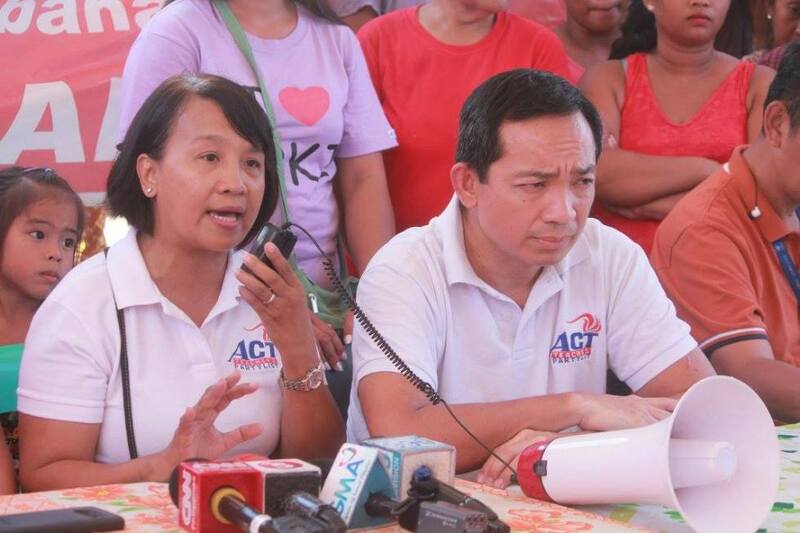 France Castro and Antonio Tinio hold a press conference at a protest action. When President Duterte was elected as the head-of-state in 2016, he secured a “super majority” of Congress with over 200 members declaring their allegiance to him – out of 292 members in total. To pit yourself against that large number is already daunting, but when you have only seven individuals in your ranks that move looks even more foolish. Yet the Makabayan bloc not only voice their dissent in the halls of the House of Representatives, but also in the streets and in the airwaves. They scrutinize every bill passed by their pro-administration colleagues regardless of a backlash, they take to the streets to protest against every move the Duterte government makes – standing alongside ordinary Filipinos who otherwise would not have their voices heard. To have a small band of rebels, at a time when conforming to the “super majority” is the norm and most people choose to stay silent over fears of retaliation from a powerful government, fearlessly stand up for their stated principles is refreshing. Although few, the Makabayan bloc lawmakers are a breath of fresh air in a Congress that seems to have tossed out their mandate over their political ambitions. This virtue alone should make them worthy of being re-elected in 2019, and with much luck they might garner enough votes to increase their numbers.